It also portrays four wings with a diamond design in pewter. Finally, the base is elegantly adorned with various details. 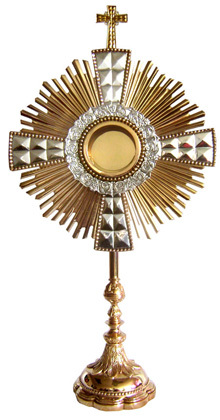 Note: This Monstrance can hold a 6.5 cm (2.55") or a 3 cm (1.18") diameter Host.